5th Wheel/Gooseneck Hitch Prep Package, GVWR: 10,000 lb Payload Package, Order Code 703A, Platinum Ultimate Package (Adaptive Cruise Control & Collision Warning, Lane-Keeping Alert, Twin Panel Power Moonroof, and Ultimate Trailer Tow Camera System), Snow Plow Prep Package, 10 Speakers, 110V/400W Outlet, 20" Polished Aluminum Wheels, 3.73 Axle Ratio, 4-Wheel Disc Brakes, ABS brakes, Adjustable pedals, Air Conditioning, Alloy wheels, AM/FM radio: SiriusXM, Auto High-beam Headlights, Auto tilt-away steering wheel, Auto-dimming Rear-View mirror, Automatic temperature control, Blind spot sensor: BLIS warning, Brake assist, Bumpers: body-color, CD player, Compass, Delay-off headlights, Driver door bin, Driver vanity mirror, Dual Extra Heavy-Duty Alternators (Total 377-Amps), Dual front impact airbags, Dual front side impact airbags, Electronic Stability Control, Electronic-Locking w/3.55 Axle Ratio, Emergency communication system: SYNC 3 911 Assist, Engine Block Heater, Exterior Parking Camera Rear, Flow-Through Console, Front anti-roll bar, Front Bucket Seats, Front Center Armrest, Front dual zone A/C, Front fog lights, Front reading lights, Fully automatic headlights, Garage door transmitter, Heated door mirrors, Heated front seats, Heated rear seats, Heated steering wheel, Illuminated entry, Leather steering wheel, LED Roof Clearance Lights, Low tire pressure warning, Memory seat, Navigation System, Outside temperature display, Overhead airbag, Overhead console, Panic alarm, Passenger door bin, Passenger vanity mirror, Pedal memory, Power door mirrors, Power driver seat, Power passenger seat, Power steering, Power windows, Radio data system, Radio: Premium Sony Audio w/Single-CD/MP3 Player, Rain sensing wipers, Rapid-Heat Supplemental Cab Heater, Rear Parking Sensors, Rear reading lights, Rear seat center armrest, Rear step bumper, Rear window defroster, Remote keyless entry, Security system, SiriusXM Radio, Speed control, Speed-sensing steering, Split folding rear seat, Steering wheel memory, Steering wheel mounted A/C controls, Steering wheel mounted audio controls, SYNC 3 Communications & Entertainment System, Tachometer, Telescoping steering wheel, Tilt steering wheel, Tough Bed Spray-In Bedliner, Traction control, Trip computer, Turn signal indicator mirrors, Unique Platinum Leather 40/Console/40 Seats, Upfitter Switches (6), Variably intermittent wipers, and Ventilated front seats. 2018 Chevrolet Volt 1.5L VVT DI DOHC 4-Cylinder Range Extender. 2018 Chevrolet Silverado 3500HD Work Truck Allison 1000 6-Speed Automatic, 4WD, Dark Ash Cloth. 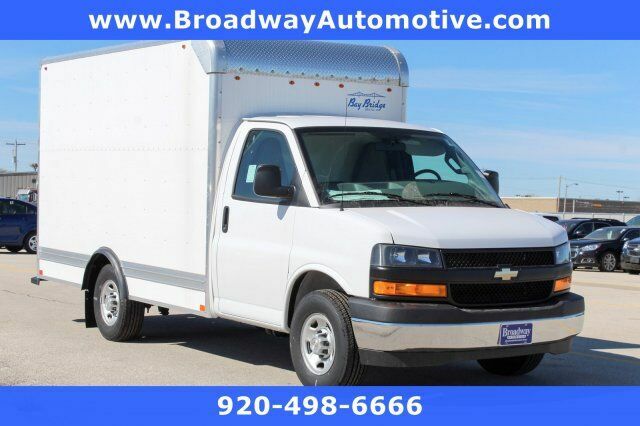 2018 Chevrolet Express 3500 Cutaway. Aluminum Classic Service Van by Reading. 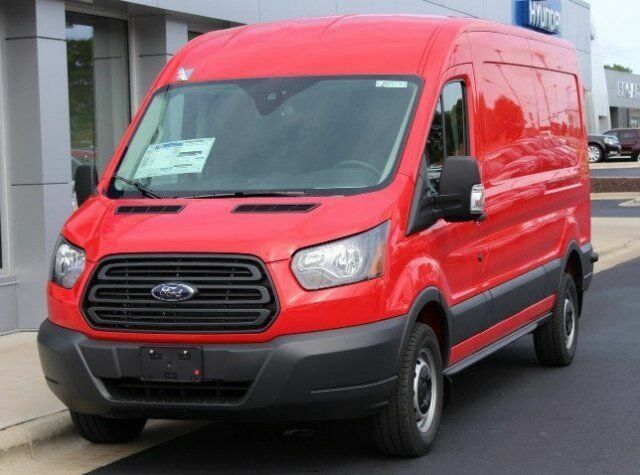 $16,695.00 Call for Fleet and Commercial pricing. 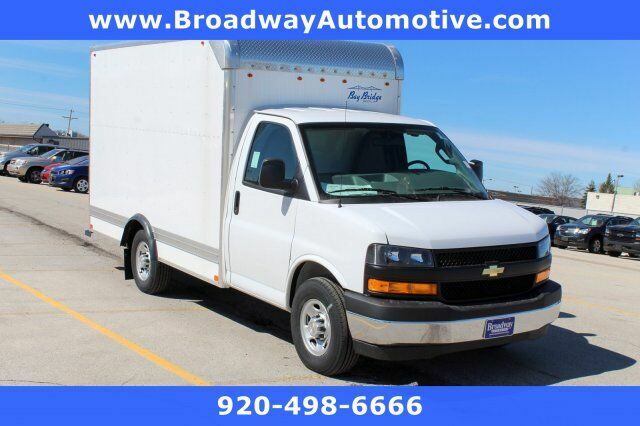 2018 Chevrolet Express 3500 Cutaway. Aluminum Classic Service Van. $18,995.00 Call for Fleet and Commercial pricing. 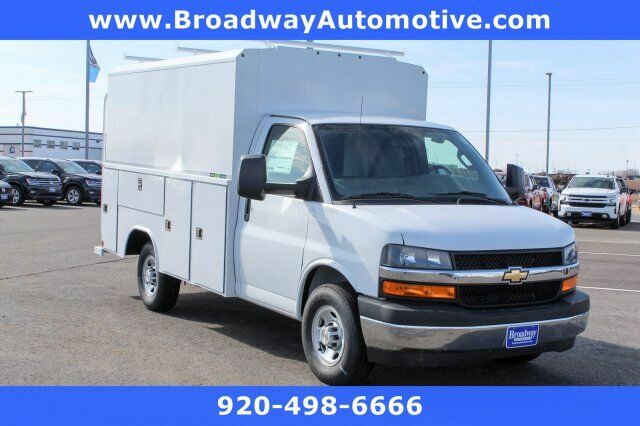 2018 Chevrolet Express 3500 Cutaway. 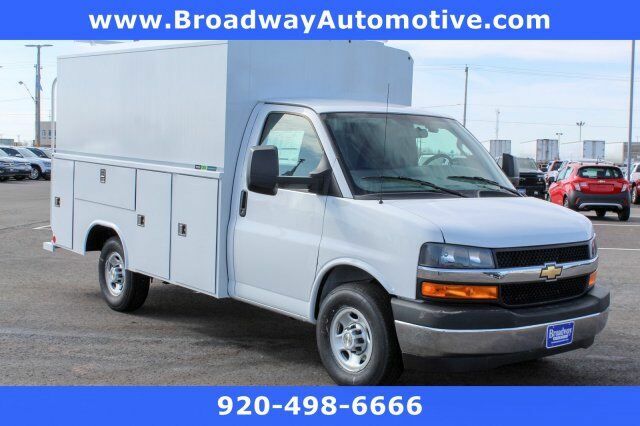 Aluminum Classic Service Van $18,995.00 Call for Fleet and Commercial pricing. 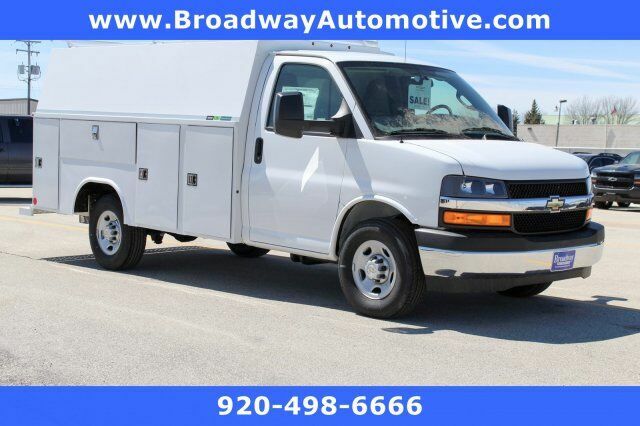 2018 Chevrolet Express 3500 Cutaway. 12' BayBridge Van Body $7295.00 Call for Fleet and Commercial pricing. 2018 Chevrolet Express 3500 Cutaway. 12' BayBridge Van Body $7,295.00. Call for Fleet and Commercial pricing. ABS brakes, Electronic Stability Control, Illuminated entry, Low tire pressure warning, Remote keyless entry, Traction control, 3.80 Axle Ratio, 4 Speakers, 4-Wheel Disc Brakes, Air Conditioning, AM/FM radio, Bodyside moldings, Brake assist, Driver door bin, Dual front impact airbags, Dual front side impact airbags, Exterior Parking Camera Rear, Front anti-roll bar, Front Bucket Seats, Front Center Armrest w/Storage, Front wheel independent suspension, Occupant sensing airbag, Outside temperature display, Overhead airbag, Overhead console, Passenger door bin, Power steering, Power windows, Radio data system, Radio: AM/FM w/Bluetooth, Rear anti-roll bar, Steering wheel mounted audio controls, Tachometer, Telescoping steering wheel, Tilt steering wheel, Trip computer, Variably intermittent wipers, Vinyl Front Bucket Seats, and Wheels: 16" Sparkle Silver-Painted Steel. ABS brakes, Compass, Electronic Stability Control, Heated door mirrors, Illuminated entry, Low tire pressure warning, Remote keyless entry, Traction control, 3.80 Axle Ratio, 4 Speakers, 4-Spoke Steering Wheel, 4-Wheel Disc Brakes, Air Conditioning, AM/FM radio: SiriusXM, Bodyside moldings, Brake assist, Bumpers: body-color, Cloth Front Bucket Seats, Delay-off headlights, Driver door bin, Driver vanity mirror, Dual front impact airbags, Dual front side impact airbags, Emergency communication system: SYNC 3 911 Assist, Exterior Parking Camera Rear, Front anti-roll bar, Front Bucket Seats, Front Center Armrest w/Storage, Front fog lights, Front reading lights, Front wheel independent suspension, Fully automatic headlights, Occupant sensing airbag, Outside temperature display, Overhead airbag, Overhead console, Passenger door bin, Passenger vanity mirror, Power door mirrors, Power steering, Power windows, Radio data system, Radio: SYNC 3 w/o Navigation, Rain sensing wipers, Rear anti-roll bar, Speed control, Steering wheel mounted audio controls, SYNC 3 Communications & Entertainment System, Tachometer, Telescoping steering wheel, Tilt steering wheel, Trip computer, Variably intermittent wipers, and Wheels: 16" Sparkle Silver-Painted Steel. 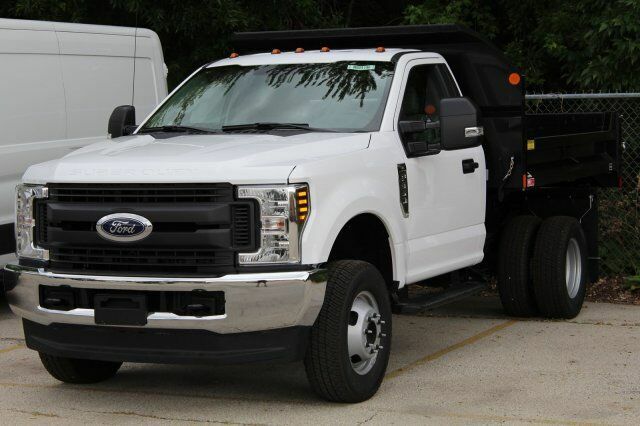 Heavy-Duty Trailer Tow Package (Tow/Haul Mode w/Trailering Wiring Provisions), Order Code 101A, 12V Powerpoint, 2 Additional Keys (4 Total), 3.73 Axle Ratio, 3.73 Limited-Slip Axle Ratio, 4 Front Speakers, 4 Speakers, 4-Wheel Disc Brakes, ABS brakes, Air Conditioning, AM/FM radio, AM/FM Stereo, Brake assist, Charcoal Black Cloth Dual Bucket Seats, Cloth Front Bucket Seats, Cruise Control w/Message Center, Driver door bin, Driver's Seat Mounted Armrest, Dual front impact airbags, Dual front side impact airbags, Electronic Stability Control, Exterior Parking Camera Rear, Fixed Rear-Door Glass, Front & Rear Vinyl Floor Covering, Front anti-roll bar, Front Bucket Seats, Front License Plate Bracket, Front reading lights, Front wheel independent suspension, Illuminated entry, Low tire pressure warning, Occupant sensing airbag, Overhead airbag, Overhead console, Panic alarm, Passenger cancellable airbag, Passenger door bin, Pewter Vinyl Dual Bucket Seats, Power door mirrors, Power steering, Power windows, Radio: AM/FM Stereo w/Bluetooth, Remote keyless entry, Short-Arm Htd Power-Folding Mirrors w/Turn Signals, Short-Arm Power Mirrors, Tachometer, Telescoping steering wheel, Tilt steering wheel, Traction control, Trailer Brake Controller, Variably intermittent wipers, Vinyl Front Bucket Seats, and Wheels: 16" Steel w/Black Center Hubcap. 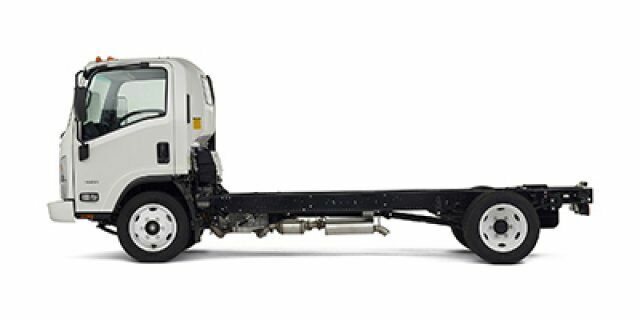 Heavy-Duty Trailer Tow Package (Tow/Haul Mode w/Trailering Wiring Provisions), Order Code 101A, 12V Powerpoint, 2 Additional Keys (4 Total), 3.73 Axle Ratio, 3.73 Limited-Slip Axle Ratio, 4 Front Speakers, 4 Speakers, 4-Wheel Disc Brakes, ABS brakes, Air Conditioning, AM/FM radio, AM/FM Stereo, Brake assist, Charcoal Black Cloth Dual Bucket Seats, Cloth Front Bucket Seats, Cruise Control w/Message Center, Driver door bin, Driver's Seat Mounted Armrest, Dual front impact airbags, Dual front side impact airbags, Electronic Stability Control, Exterior Parking Camera Rear, Fixed Rear-Door Glass, Front & Rear Vinyl Floor Covering, Front anti-roll bar, Front Bucket Seats, Front License Plate Bracket, Front reading lights, Front wheel independent suspension, Illuminated entry, Low tire pressure warning, Occupant sensing airbag, Overhead airbag, Overhead console, Panic alarm, Passenger cancellable airbag, Passenger door bin, Pewter Vinyl Dual Bucket Seats, Power door mirrors, Power steering, Power windows, Radio: AM/FM Stereo w/Bluetooth, Remote keyless entry, Remote Keyless-Entry Keypad, Short-Arm Htd Power-Folding Mirrors w/Turn Signals, Short-Arm Power Mirrors, Tachometer, Telescoping steering wheel, Tilt steering wheel, Traction control, Trailer Brake Controller, Variably intermittent wipers, Vinyl Front Bucket Seats, and Wheels: 16" Steel w/Black Center Hubcap. ABS brakes, Compass, Electronic Stability Control, Front dual zone A/C, Heated door mirrors, Illuminated entry, Low tire pressure warning, Remote keyless entry, Traction control, 3.80 Axle Ratio, 3rd row seats: bucket, 4-Spoke Steering Wheel, 4-Wheel Disc Brakes, 6 Speakers, Air Conditioning, AM/FM radio: SiriusXM, Auto-dimming Rear-View mirror, Automatic temperature control, Bodyside moldings, Brake assist, Bumpers: body-color, Cloth Front Bucket Seats, Delay-off headlights, Driver door bin, Driver vanity mirror, Dual front impact airbags, Dual front side impact airbags, Emergency communication system: SYNC 3 911 Assist, Exterior Parking Camera Rear, Front anti-roll bar, Front Bucket Seats, Front Center Armrest w/Storage, Front fog lights, Front reading lights, Front wheel independent suspension, Fully automatic headlights, Occupant sensing airbag, Outside temperature display, Overhead airbag, Overhead console, Passenger door bin, Passenger vanity mirror, Power door mirrors, Power driver seat, Power steering, Power windows, Radio data system, Radio: SYNC 3 w/o Navigation, Rain sensing wipers, Rear air conditioning, Rear anti-roll bar, Rear Parking Sensors, Rear window defroster, Rear window wiper, Speed control, Split folding rear seat, Steering wheel mounted audio controls, SYNC 3 Communications & Entertainment System, Tachometer, Telescoping steering wheel, Tilt steering wheel, Trip computer, Variably intermittent wipers, and Wheels: 16" Sparkle Silver-Painted Steel.